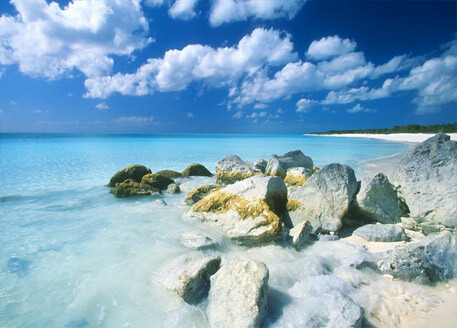 The Caribbean comprises more than 7,000 islands, islets, reefs, and cays. These islands are known as the West Indies. The population is just over 39 million and the most common languages spoken include; Spanish, English, French, Dutch and many others. 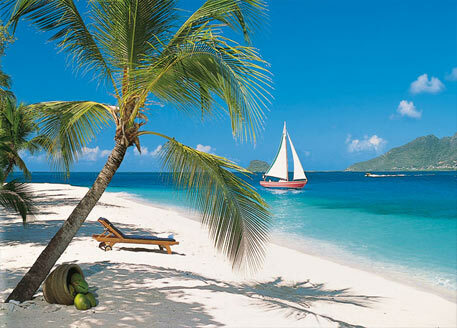 The Caribbean islands climate although tropical with all year round sunshine varies. The region enjoys year-round sunshine, divided into dry and wet seasons, July through to December being wetter than January through to June. Some islands have relatively flat terrain of non-volcanic origin which would include; Aruba, Barbados, Bonaire, the Cayman Islands, Saint Croix, the Bahamas and Antigua. Others islands such as Cuba, Hispaniola, Puerto Rico, Jamaica, Dominica, Montserrat, Saba, Saint Kitts, Saint Lucia, Saint Thomas, Saint John, Tortola, Grenada, Saint Vincent, Guadeloupe, Martinique, and Trinidad & Tobago possess rugged towering mountain-ranges. The Caribbean Sea host large, migratory schools of fish, turtles, and coral reef formations and has become one of the most visited destinations in the world. The Caribbean comprises more than 7,000 islands, islets, reefs, and cays for many types of people from all over the World, whether for holidays that include; lazing around on beautiful sandy beach, just soaking up those sun rays, or, if you would prefer to be more energetic and participate in the many water sports and of course you can try either snorkelling or deep sea diving within the magnificent corals. Or, you might decide it's deep sea fishing for you, where you can catch some of the largest sea creatures in the World or you might consider sailing round the many islands of your choice on your private yacht. When you combine the wonderful climate, the many amenities, activities on offer and importantly the taxation advantages, it’s no wonder many people are considering purchasing property for sale in the Caribbean.